Tiny David wants to take on the industry's Goliaths and win. 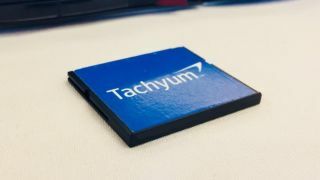 Just over a month ago, Tachyum, a small tech startup, announced a new processor family, Prodigy, which it calls the world's first universal processor platform. Beyond that new label though are a number of hard-to-believe claims that the company has put forward including the fact that it delivers a 10x performance improvement on conventional processors. We caught up with Tachyum CEO Dr. Radoslav ‘Rado’ Danilak via email, to find out more about the venture and where exactly does these seemingly outlandish claims come from. Tachyum processors are destined for data centers. Check out our list of the best web hosting companies on the market. 1. How is it different from the Heterogeneous System Architecture (HSA) Foundation? Tachyum’s Prodigy processor is a new and innovative processor architecture, developed using a hardware and software codesign from day-1. It has a single programming model, a single instruction stream, fully coherent memory, and fully coherent inter-core communication. We have also added data parallelism to our processor programming model in order to better address certain AI applications. 2. Your press release mentions an AI chip, GPU and CPU as being part of that family. Can you tell us more? Tachyum’s Prodigy processor is a single unified architecture, which exhibits out of order performance, with processor hardware (read: transistor counts / core size) similar to simple in-order execution machines. We have accomplished this by offloading to our compiler, tasks traditionally implemented in CPU hardware. The resulting IPC, clock speed and power reduction improvements not only offer a compelling value proposition in our core market, Hyperscale Data Centers, but they also enable Tachyum’s Prodigy processor to exceed NVIDIA Volta performance on Neural Nets. Tachyum has created a new processor architecture which not only outperforms the competition in Data Center workloads, but also outperforms the competition in all AI disciplines. Prodigy demonstrates an order of magnitude better performance on Symbolic AI, Bio AI, and General AI (due to their control intensive nature) than existing AI-centric chips. Tachyum has NOT combined a CPU, GPU, and AI chip. Tachyum has developed an innovative processor architecture that offers a disruptive value proposition across multiple application domains. We have also included in the Prodigy architecture certain architectural improvements to enhance its performance on AI workloads, such as compressed 8-bit floating-point coefficients and matrix multiply-add operations. 3. Your company is promising to durably disrupt the compute market with some, frankly extraordinary claims. How did you achieve so much by spending (in relative terms) so little in R&D compared to the likes of Samsung, Nvidia or Intel. The Prodigy architecture is the result of decades of experience that I developed designing processors (e.g. Playstation 2, Tesla), flash memory controllers (Sandforce), and flash based systems (Skyera). Several years of self-funded R&D preceded Tachyum’s emergence from stealth mode. I have always been interested in solving “device physics” challenges, such as reliability issues in dual level cell flash memory, as I did at Sandforce. Prodigy is another example of that. With the decade long stagnation of processor clock speed, due in large part to slow wires relative to transistor switching speed, and coupled with CPU architectures which were designed when wires were infinitely fast compared to transistors, a fresh look at an optimal 21st century processor architecture was warranted. We started from a clean sheet of paper with a design philosophy of reducing the number of slow wires on a chip, and reducing the average length of existing wires. The result is breakthrough performance and low power consumption. 4. Why can Tachyum succeed where larger organizations have failed? I would have to say it is due to my technical instincts born from hard won experience, along with learning from others’ mistakes, and disciplining myself to work only on important challenges. Even in large companies such as Intel and NVIDIA, the real innovation usually springs from a small group of innovators. At SandForce which I founded, my competitors were Intel, Samsung, Toshiba, Sandisk, Micron, Western Digital, LSI, Seagate, and many others with 1000s [of] engineers, and with less than 100 employees we won. Having the instinct to go in right direction is important, hiring best team, learning from mistakes of competitors, and working only on important stuff. An example is the Intel Itanium that failed on compilers, so we developed compilers first and build architecture around compilers. Even at nVidia, key innovation was done with a couple [of] groups with ten engineers, not thousands. If you have team of “gods”, [head] count is not that critical and can be filled with contractors. 5. You say that building a candidate for the human brain project will take less than three years with about 250,000 of your chips, is it safe to assume that this processor has a peak performance of 4 teraflops? Tachyum’s 64 core Prodigy processor, will generate ~128TFLOPS. We claim that in 2020, with volume production of Prodigy underway, system integrators will be able to assemble ~250,000 Prodigy processors into a network capable of running human brain sized neural nets. The processing density of Prodigy, combined with its disruptive low power consumption, enable these systems to be built beginning in 2020. 6. The management of Tachyum was involved in the sale of Skyera to WDC. Does storage and compute therefore share the same fundamental scale issues? Tachyum and Skyera are two completely different companies, except that some founders of Tachyum were at Skyera. We make no claims about similar scaling issues between the memory and processor domains. 7. We spoke a lot about hardware but what the role of software in your plans? Our smart compiler is essential to the Prodigy solution, handling many processor tasks traditionally handled in hardware. We have GCC today, and will provide LLVM next year as well as Java JIT. Linux and FreeBSD will be natively supported. We will work closely with application developers to insure they can fully exploit the performance characteristics of Prodigy for both data center apps, as well as AI applications in all domains. 8. What is your business model? Do you plan to license the IP to third parties (similar to Rambus and Arm) or do you plan to take on the whole market? Tachyum is a semiconductor company. We sell chips to end customers, ODM’s and OEM’s. Tachyum is not an IP provider. Tachyum CPUs will compete with Intel Xeon (found in workstations) and AMD Epyc processors in the data center arena.